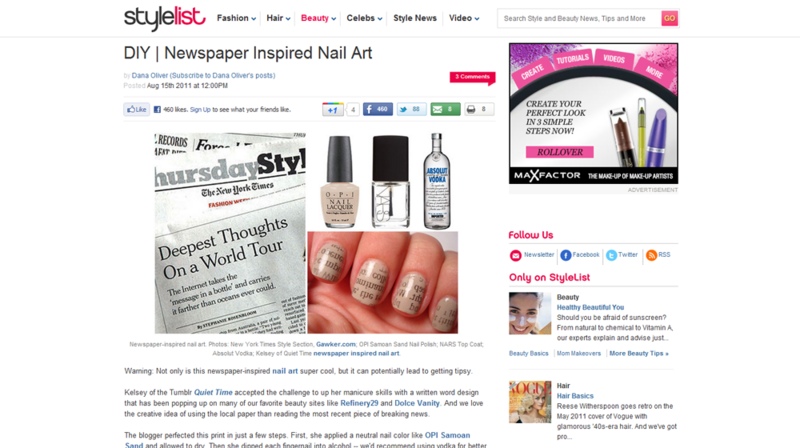 I love the website StyleList so to see a little mention from them regarding the post I done on Newspaper Nail Art was such a shock & surprise. Thanks to them and to you as if you didn't view my post, I wouldn't get little mentions such as this so thanks. Thanks for sharing mamas! I miss you!!! !